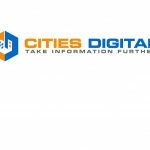 LONG BEACH, CA (Laserfiche)—August 10, 2010— Laserfiche is proud to congratulate 18 of its customers for being named among the most advanced digital counties in 2010 by the Center for Digital Government and Digital Communities magazine. Charles County, MD, Hanover County, VA, and Chesterfield County, VA, took top honors in three of the four population categories. In years past, entrants were required only to submit an inventory of the cutting-edge technologies they used; in 2010, applicants were asked to explain how their technologies support employees and citizens alike. Collaboration, transparency and efficiency were three benefits that particularly impressed this year’s judges. 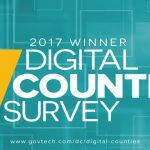 The counties were chosen from the results of the eighth annual Digital Counties Survey, which examines how America’s counties use technology to improve service delivery.